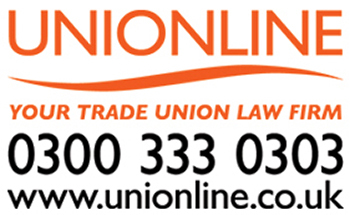 GMB members working for Care Home company HC-One are to be consulted on a 2% pay increase for employees not impacted by the National Living Wage / National Minimum wage increases in April 2017. The consultation will now run until Friday 10 November 2017. The increase will apply to employees aged 25 or over on 1 April 2017 who were paid more than £7.50 from 1 April 2017 and remained on their existing hourly rates of pay. Workers with vocational qualifications will be rewarded, with those with Level 2 qualifications earning 15p per hour more than National Living Wage and those with Level 3 qualifications earning 25p per hour more. Senior carers will be paid 50p above the National Living Wage. Employees aged 25 years or over on 1 April 2017 received a new minimum hourly rate of £7.50. Employees aged under 25 on 1 April 2017, with the exception of Pathways into Care Apprentices, received a new minimum hourly rate of £7.10 per hour. The care homes in GMB London region that will be consulted are located in Waltham Forest, Hounslow, Tower Hamlets, Hillingdon, Braintree, Luton and Basildon. See notes to editors for list of 8 care homes in the region. “We are asking GMB members covered by this offer to participate in the consultation and return their ballot paper accordingly. “GMB believes that this is the best possible offer on pay that can be achieved this year given the severe financial pressures on the care sector.